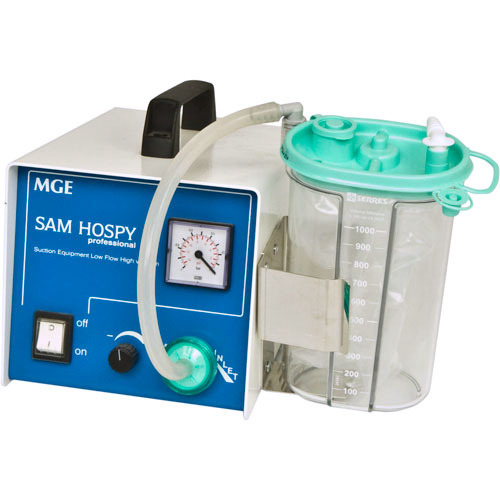 The SAM 420 aspirator provides high flow, high vacuum performance and is specifically designed for portable and emergency use. 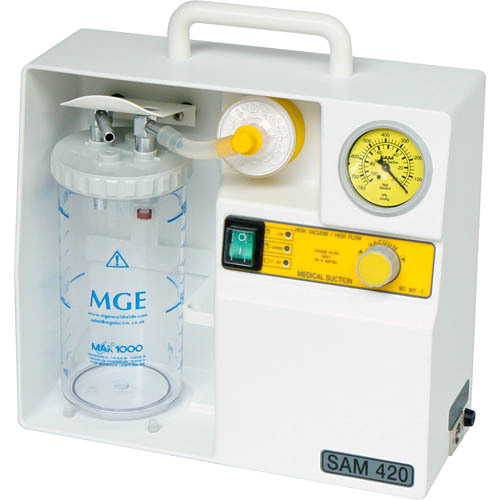 The SAM 420 can be run from mains power, internal batteries (45 mins continuous running) and a 12V supply (e.g. 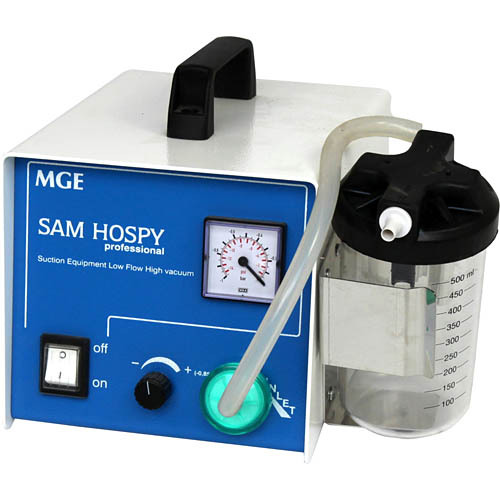 cigarette lighter) and has proved to be ideal for use in ambulances and in the field. 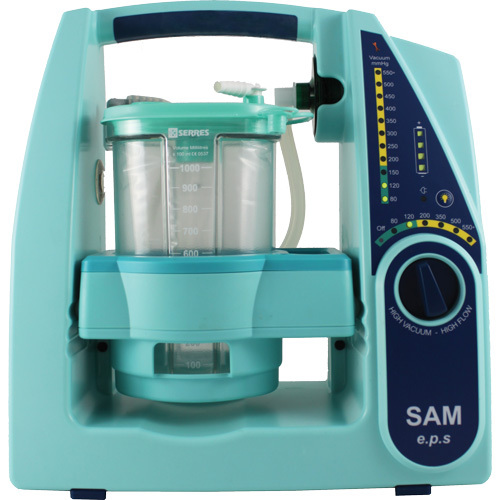 As standard, the SAM 420 incorporates an autoclaveable 1000cc collection vessel. 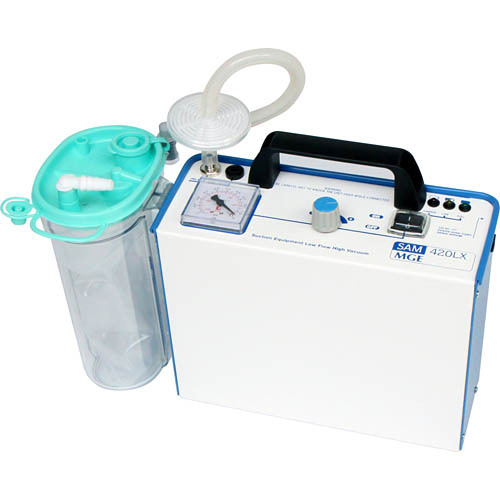 The unit uses an oil-free diaphragm vacuum pump with a totally enclosed dc motor. The pump requires minimal maintenance through the benefits of permanently lubricated bearings.